Off the bat, I can’t say I’m a faery fan. Even as a little girl, I never really saw the allure of Tinkerbell. That disinterest in faeries has stuck with me throughout the years. You’re probably wondering why I decided to read Wings, the first book in a popular series about a faery named Laurel. Well, earlier this year I was waiting in a dental office and started a conversation with the receptionist that works there. I’ve gone to this dentist since I was a kid, and like most, I hated going. I would try to get out of appointments but the thing was that my mom and I were so intimidated by the receptionist that works there. So we bucked it up and went. Anyway, she was telling me about Wings and how much she was obsessed with it. I’m thinking… “WHAT?” I would never have guessed that she would read a young adult novel or even one about faeries. And really, that’s why I read it because if it managed to be something that entertained a woman who intimidates me into making my dentist appointments, I should find it great as well. After that sort of long story, what did I think of Wings? For one thing, I love the author’s new take on faeries. It was much more interesting that the ones I knew about from fairy tales. However, I found the plot to be a little too simple or basic. Wings is a quick read, at times interesting, but it doesn’t leave you instantly wanting more. Wings follows Laurel, a teenage girl starting public high school for the first time. She has been homeschooled her whole life, and after moving from her childhood home, her parents thought it was time to stop homeschooling her. At first, it’s hard for Laurel to adjust to high school, but very quickly she makes friends. She strikes a strong friendship with David. So strong that when a huge flower grows out of her back, instead of telling her parents, she tells David. Thus begins Laurel’s journey in finding out the truth about herself and her destiny. Some elements of the novel work in its favor. For instance, the new mythology about faeries is scientific and unique. The parts of the book when Laurel is discovering these new things about herself and faeries were my favorites. The author, Aprilynne Pike, has definitely won me over with her version of faeries. One thing that I didn’t like was the love triangle. It’s not so much Pike’s fault, but I’m personally sick of reading about love triangles. When Tamani is introduced, I muttered “not another one.” As the story went on, it became more focused on the love triangle. At least, Pike managed to also make it about Laurel choosing which world to belong to, which saved it for me. The plot is straightforward. I wish it was a tad more complex, and maybe it does become so in the next three novels. The ending was a bit underwhelming. Let’s just say that I’m not hammering on picking up Spells (Wings #2) anytime soon. But I will consider reading and continuing series if I ever feel inclined. Yet, Wings was enjoyable and had many unique aspects that I’ll likely find myself curious about in the future. 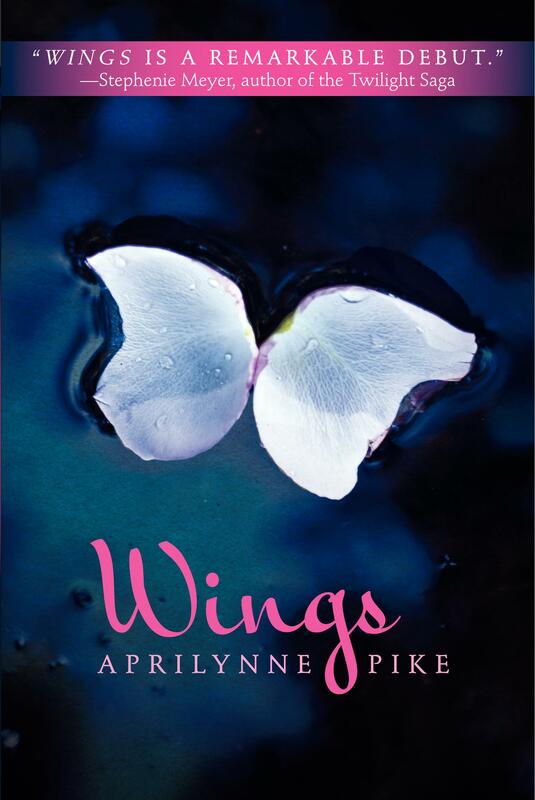 Wings by Aprilynne Pike is available at our TYF Store, powered by Amazon. Previous ArticleMusic News: Frank Ocean reveals album "Channel Orange" + new song "Pyramids"